You can join Rewards by Harvey Nichols online at harveynichols.com or by downloading the app and signing up from your mobile device. The app can be found in the App Store. for iPhone or in Google Play Store for Android. Simply search ‘Harvey Nichols’ or find the app in the Lifestyle category of either app store. Rewards by Harvey Nichols is free to join. No. The Rewards by Harvey Nichols mobile app contains everything you need. Plus you always have your mobile phone with you! Can I sign up using my Harveynichols.com login details (MY HN)? Yes. For current users of Harveynichols.com, you must use the same email address and password in the mobile app as you already use online. In order to earn points on your online transactions, you must use the same login details. Where do I find my Member ID? Your Member ID is always located at the top of every screen in the app. Simply tap your name in the top white bar to reveal your Member ID, points total and tier level. Can I manage my Rewards by Harvey Nichols account online? You will have a basic overview of your Rewards account on Harveynichols.com. For a detailed view of your account, you will need to use the mobile app. How do I unsubscribe from Rewards by Harvey Nichols promotional push notifications? When does the rewards year start/end? The rewards year begins on 1 April and ends on 31 March. Regardless of when you join the programme, the rewards year will always follow this calendar. You can update your personal details at any time at Harveynichols.com. If you wish to update your email address, please contact our Customer Service team on +44 (0)20 7201 8088. Can I use the app if I’m an international customer? Yes. 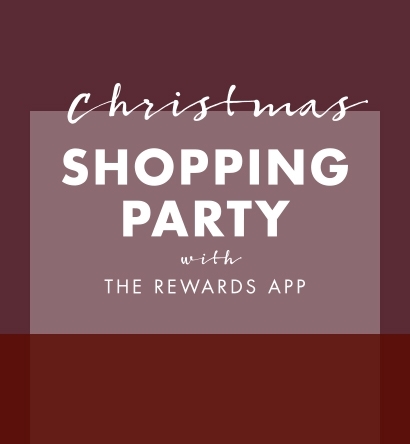 You can download the app if you are an international customer although you can only earn points in UK stores and on the UK website (harveynichols.com). You can only redeem Benefits and/or Rewards in UK Harvey Nichols stores, bars and restaurants, excluding Dublin. We will award 1 point for every £1 spent at any UK store (excluding Dublin), Harvey Nichols bar, restaurant and online. To add points, present your Member ID (in the mobile app) at the till when making a purchase. You can also scan your receipt (up to 14 days after purchase) should you wish to add points after your purchase – simply open the Points history screen in the mobile app and open Scan Your Receipt. Once you are logged into Harveynichols.com, we will automatically add points to your account when making purchases online. You need to be logged in and place your order with the same login details as the mobile app. Points will not be credited to your account until your order is dispatched. Can I earn points in Harvey Nichols bars and restaurants? You will earn points on transactions at any Harvey Nichols bar or restaurant (including The OXO Tower). This excludes Dublin and any food concessions including Yo Sushi and Burger & Lobster. It’s not possible to scan your Member ID at hospitality tills. Instead you will need to scan the receipt on the Points history screen in the app a few hours after you’ve made the transaction. Can I earn points if I use a gift voucher or cash reward? You will not earn points on transactions or parts of transactions paid for by Harvey Nichols gift vouchers, gift cards or cash rewards. What if I return an item? If you return an item instore or online, all points earned on that particular item will be removed from your points balance. Can I purchase through the app? You will not be able to browse our online store using the mobile app. However, you will find a link to Harveynichols.com on the Home screen of mobile app. You can check your points total at any time using the mobile app. Simply open the Points history screen to review your most recent transactions. You can also see your points total in your Member ID, which features on each screen in the app. Alternatively, you can contact our Customer Service team on +44 (0)20 7201 8088. How soon will my points be credited to my account after purchase? Please allow up to 24 hours for your points to be credited to your account following a purchase. Your points total will be updated in your Member ID (featured on each screen on the app) and all recent transactions can be viewed on the Points history screen. What if points for a purchase have not been registered? Allow up to 24 hours for points to be added to your account from time of transaction. If your points have not been added after this time, contact our Customer Service team on +44 (0)20 7201 8088 and quote the Transaction ID which is printed on bottom of your receipt. Alternatively, quote your Member ID. Customer lifetime points will not expire. Your tier status will be determined by your annual points, you will remain in that tier for the current membership year and the next membership year. If you have not earned enough points in the second year to remain in that tier, then your tier will be adjusted accordingly, moving into the next year. Benefits are available to members in line with their tier level and in most cases can be used on a daily basis. You can find the Benefits available to you in the mobile app. Start enjoying benefits from zero points in our Silver tier simply by joining Rewards by Harvey Nichols. To redeem a Benefit, simply present your Member ID to a staff member instore or enter the dedicated code at checkout on Harveynichols.com. Will I have access to discount days and special promotions? Yes. We will be running four discount days and four double points days throughout the year exclusively for programme members. There may also be secret sales and promotions throughout the year which may be specific to certain tier levels. All of our promotions (e.g. sale previews) will be available to our programme members first. Our intention is to reward loyalty, therefore all promotions will be offered to Rewards by Harvey Nichols members as a priority. You can unlock Rewards up to four times during our rewards year, these Rewards are based on the points accrued in the previous membership quarter. With every new quarter, comes a new surprise. Our quarterly rewards calendar will run as follows: Spend in Apr-Jun, redeem Sep-Nov Spend in Jul-Sept, redeem in Dec-Feb Spend in Oct-Dec, redeem in Mar-May Spend in Jan-Mar, redeem in Jun-Aug.
To redeem, you must activate your chosen Reward in the mobile app. You will have a choice of Rewards within the app and you will need to activate your one chosen Reward. Choose carefully though, as once you’ve chosen there’s no going back! Can I give my Reward to someone else, for example my partner? It’s up to the discretion of the account holder as to who enjoys the earned reward, but the reward barcode on the app on a qualifying account must be shown to a member of staff to use the reward. How do I book an experience Reward? All the booking details will be listed within the rewards information page in the app. To make your experience as seamless as possible we recommend you reference this as a reward booking. The voucher can be redeemed both instore and online. The full value of the reward has to be redeemed in one single transaction.If you’re redeeming instore we recommend you book an appointment with the Style Concierge who can aid you in redeeming your voucher. How do I redeem my reward online? To redeem your reward online you can either follow the link from the reward details in the application, following the instructions on your mobile device, or, once the reward is selected it will be waiting for you in MY HN on harveynichols.com. You can then carry out your online shop where you will have the option to redeem when checking out. If redeeming a product without adding additional items in your basket, just select the reward in MY HN on harveynichols.com and proceed to check out. How do I redeem my product reward? If you have chosen a product reward such as a hamper, you must redeem this reward instore. We recommend you call ahead and check the availability of your chosen product reward. The details of how to contact your chosen store will be listed in the rewards information page found in the app. How long are Rewards valid for? You will have three months to redeem your Reward once it has been issued. The expiry date for each reward will be listed in the app on the rewards information page. How can I extend the expiry date of my Reward if I am not in store soon? Each reward comes with an expiry date which is stated within the rewards information page in the app. You will be prompted to redeem your Reward throughout the redemption period. In exceptional circumstances, we may extend the expiry date of rewards. This is reviewed on a case by case basis. If you wish to request for an extension, please contact our Customer Service team on +44 (0)20 7201 8088. Can I earn points from redeeming my reward? Rewards redemption will not qualify for rewards points. For purchases on top of your reward, these will qualify for rewards points. For example, if I have a dining experience for two worth £150 and the final bill comes to £200 you will earn 50 points for the additional £50 payment. What happens if I want to return my reward? For goods purchased using a reward voucher we offer returns or exchanges, for product rewards we offer exchanges. Our experience rewards are non-refundable and non-exchangeable. Please refer to our Rewards Terms and Conditions for further detail. Do I need to pay for delivery when redeeming online? 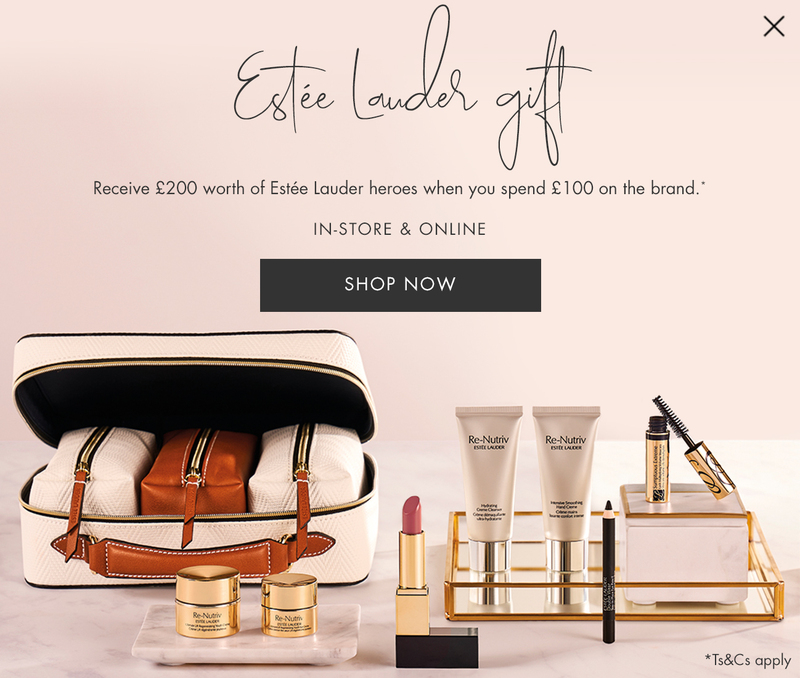 When redeeming either a product reward or making a purchase including a voucher online at harveynichols.com, you can enjoy complimentary UK Standard or Express delivery. This includes purchases with multiple items in your basket. What if my phone has lost charge/I don't have my phone with me/my phone is broken when I want to make a purchase in store? You can manually add points to your account using the mobile app up to 14 days after purchase. Open the Points history screen and select Scan Your Receipt. Scan the rewards barcode on your receipt using your smartphone camera, or alternatively type in the Transaction ID beneath the barcode on your receipt. What if I delete the Rewards by Harvey Nichols app from my phone/get a new phone? Don’t worry! Simply install the app on your new device and sign in using the same login details. Your account history and information will be saved. What if the app crashes, is it possible to manually add points? If the app crashes (we sincerely hope it never does), you can add points yourself via the Scan Your Receipt function up to 14 days after purchase. Alternatively, phone our Customer Service team on +44 (0)20 7201 8088. What if my phone is stolen and I am still logged in, can someone claim my Rewards and see my personal information? If your phone is stolen, please contact our Customer Service team on +44 (0)20 7201 8088 and we will freeze your account. You can install the Rewards by Harvey Nichols app on more than one device, and login using the same details. Yes. You can download the app on a tablet but the experience is optimised for a smartphone. What if I can’t find the answer to my burning question here?